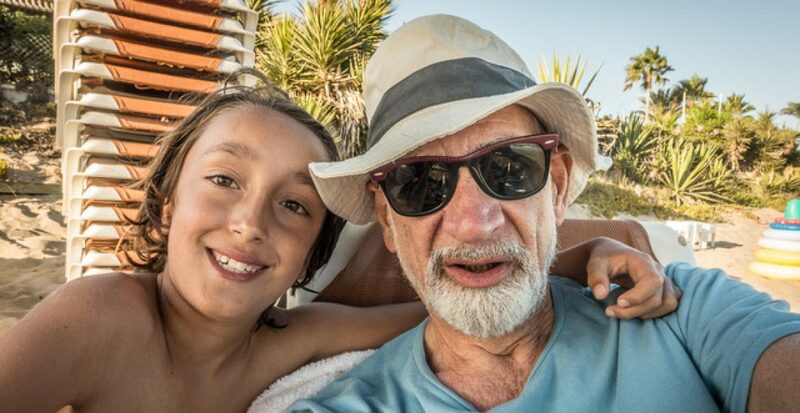 I came across two features on Radio 4 recently, namely an interview with Keith Richards about his book GUS AND ME, as well as a three-part programme called THE INVISIBLE AGE, both of which (the first directly, the latter indirectly) have tapped into what OUR STORIES wants to convey- the important connection between children and their grandparents. Although I have yet to read Richards’ book about his grandfather Gus, who first taught him the guitar and instilled in him the necessary sense of discipline in order to become a musician, I found hearing him talk about his thoughts on being a grandparent himself now and how his relationship with Gus is feeding into that,in itself rather poignant. He summarised perfectly the benefits this relationship has brought him and how this is rounding off his own life’s journey. Richards mentioned what a ‘great mate’ his grand-dad was for him and how ‘he was a great kick up the rear for [him], musically’. And it is because he has had someone like that in his life, guiding him and challenging him that he feels compelled to engage with his own responsibilities and possibilities as a multiple grandfather, ‘being a conduit and providing that extra back-up’, because, as he concludes, ‘growing up isn’t so bad after all!’. In THE INVISIBLE AGE, Matthew Sweet appealed for listeners to turn to old people in society more often and to see them as the valuable resource that they are in terms of the unique insights they can offer. Those are, ideally, a life-time’s worth of wisdom and objectivity as well as the ability to see the bigger picture. Two things stood out for me: more than once, the interviewees, most of whom were well into their 8th decade and more, stated that, in age, internally, they felt no more than 30 years old. Furthermore, the overall majority wanted to pass on to their younger, imaginary self the message that making mistakes was part of the journey and that it was important to take the long view in life instead of being so worried about the here and now. Above all, let us not forget how entertaining and fascinating all this is. Hearing stories from and older person can open up horizons and pathways into the unknown. They teach us to empathise and reflect, and by accepting some of the vision time has brought to these elderly storytellers and adopting a dose of the humour, which has infused many of their stories, it can give us the resolve to brace ourselves for our own journey.